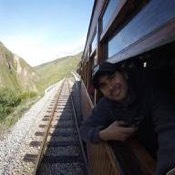 Traveler Review for Private Tour in Manta, Ecuador by Tour Guide Gustavo A. About Gustavo A. Message Gustavo A. A taste of Manta and its whereabouts in one day! Gustavo was extremely friendly, knowledgeable, and spoke English fluently. The tour was very enjoyable. Above all, he arranged a special lunch for us featuring local cuisine at Muya restaurant and it was superb. Every dish was balanced and tasteful. Got to try it. TOUR GUIDE RESPONSE: I had a great time with your group Lilian! Loved touring you around Manta and its whereabouts! Please come back soon!